We know how to share complicated ideas. We gather facts, ask questions, and adjust as circumstances suggest. We use practical methods and plain language. Our style is to work alongside. A “consultant” is detached, focused on their report. We’re “un-consultants”, there to pitch in, an extra pair of hands. No two situations are ever the same, yet similar patterns and behaviours emerge irrespective of domains. We’ve seen what often happens next. Our methods come from making frontline choices over decades, with many kinds of people and issues in the mix. Shelagh Kinch co-led the successful ‘mobile first’ change project for CBC News, after being the managing director for CBC English services in the province of Quebec, responsible for all aspects of local digital, radio, and television, as well as local strategy and public engagement. As head of learning and organizational development for CBC English services, she pioneered distributed learning and skills training online. Earlier, as an in-house consultant, she facilitated several change initiatives for the public broadcaster, including CBC’s revision of its Journalistic Standards and Practices and an e-learning course that was compulsory for all CBC journalists. She began as a reporter and rose to become Managing Editor at CBC Montreal, responsible for all journalism by the public broadcaster in Quebec. Later she was instrumental in integrating news gathering for television, radio, and digital. She is skilled in facilitation, instructional design, leadership development, and helping people discover new possibilities. 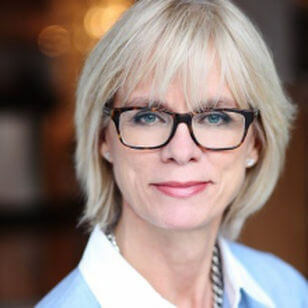 Esther Enkin is the immediate past president of the worldwide Organization of News Ombudsmen and Standards Editors (ONO) and from 2012-2018 was English Services Ombudsman for CBC/Radio-Canada, Canada’s public broadcaster. As the CBC ombudsman, she undertook nearly 400 reviews of editorial practices in response to audience enquiries, with written findings that considered the journalistic ethics in each instance. Previously, Esther was Executive Editor for CBC News, with responsibility for news standards and their interpretation. She led a comprehensive updating of CBC’s Journalistic Standards and Practices code, including new provisions for digital publishing and social media. Esther’s work in news management came after nearly 30 years as a working journalist, including producer roles on two CBC flagship series, The Journal and The World at Six. Her documentary work for The Journal won international awards. Esther has a Bachelor of Journalism degree, is a regular guest lecturer in journalism schools, and is active in community organizations. Andrew Cochran designed and co-directed the successful transformation to ‘mobile first’ in local services while head of news strategy at CBC, and developed the public broadcaster’s first and third digital stations. As senior managing director for CBC’s English operations in Canada’s four Atlantic provinces, he integrated radio, TV, and digital in 10 stations and combined two operating regions into one. Many years before, he co-founded Canada’s first satellite-to-cable network and pioneered digital content for CBC, CTV, PBS, and other broadcasters. He was a rights-owning independent producer and creator of the international children’s character, Theodore Tugboat, before which he produced network news programs at CTV and CBC. He has a Masters Degree (Electronic Commerce), and has taught courses in law (Entertainment law, IT transactions), journalism (Business fundamentals, Emerging business models), and business (Export marketing). His awards include EY Entrepreneur of the Year, a Hot Doc, and an honorary DCL (King’s). We call on a standing group of like-minded people to add insight or extra capacity as situations warrant. Each comes with depth in their respective specialty, accumulated over many years of firsthand experience.